Nevada Falls marks where the Merced River plummets almost 600 through a joint in the Little Yosemite Valley, shooting out from a sheer granite cliff and then down to a boulder pile far below. Yosemite High Country Photo. 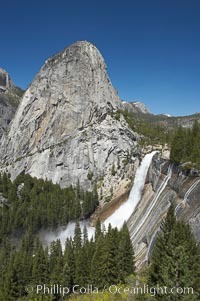 Nevada Falls, with Liberty Cap (center) and Half Dome (left). 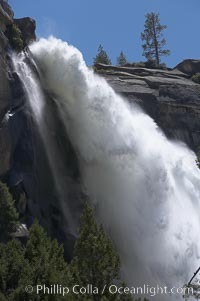 Nevada Falls marks where the Merced River plummets almost 600 through a joint in the Little Yosemite Valley, shooting out from a sheer granite cliff and then down to a boulder pile far below. Yosemite High Country Picture. 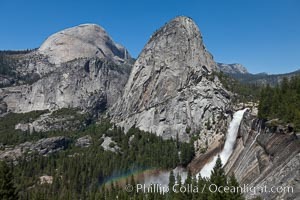 Half Dome and Nevada Falls, with Liberty Cap between them, viewed from the John Muir Trail / Panorama Trail. 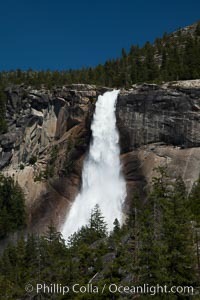 Nevada Falls is in peak spring flow from heavy snowmelt in the high country above Yosemite Valley. Stock Photography of Yosemite High Country. 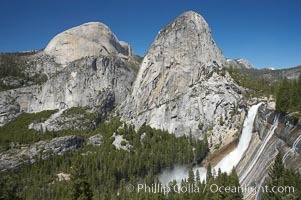 Half Dome and Nevada Falls, with Liberty Cap between them, viewed from the John Muir Trail / Panorama Trail. 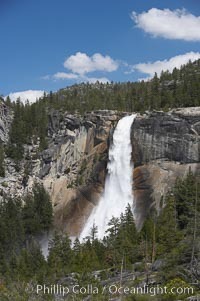 Nevada Falls is in peak spring flow from heavy snowmelt in the high country above Yosemite Valley. Photograph of Yosemite High Country. 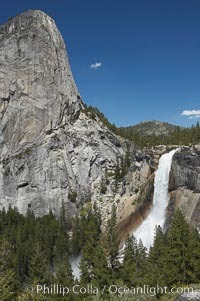 Liberty Cap and Nevada Falls,viewed from the John Muir Trail. Merced River is in peak spring flow from heavy snow melt in the high country above Yosemite Valley. 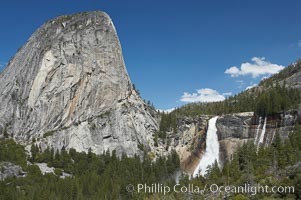 Yosemite High Country Photos. 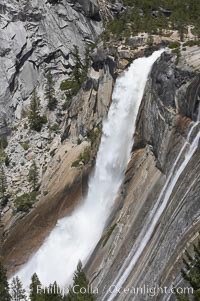 Nevada Falls viewed from the John Muir Trail, Merced River in peak spring flow from heavy snow melt in the high country above Yosemite Valley. Yosemite High Country Image. 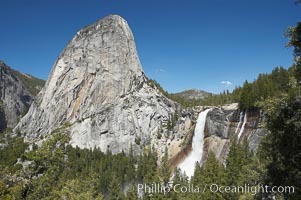 Half Dome and Nevada Falls, with Liberty Cap between them, viewed from the John Muir Trail / Panorama Trail. 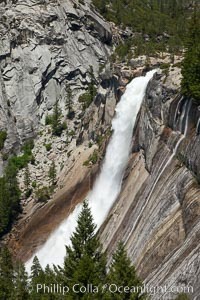 Nevada Falls is in peak spring flow from heavy snowmelt in the high country above Yosemite Valley. Professional stock photos of Yosemite High Country. 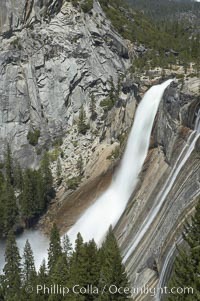 Nevada Falls viewed from the John Muir Trail, Merced River in peak spring flow from heavy snow melt in the high country above Yosemite Valley. Pictures of Yosemite High Country. 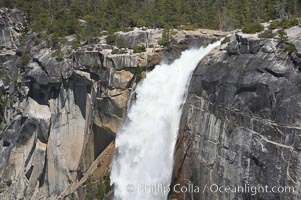 Nevada Falls in peak spring flow, from heavy snow melt in the high country above Yosemite Valley. Yosemite High Country Photo. 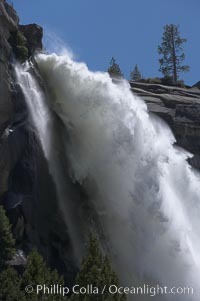 Nevada Falls marks where the Merced River plummets almost 600 through a joint in the Little Yosemite Valley, shooting out from a sheer granite cliff and then down to a boulder pile far below. Yosemite High Country Picture. 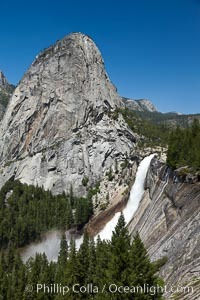 Nevada Falls, with Liberty Cap rising above it. 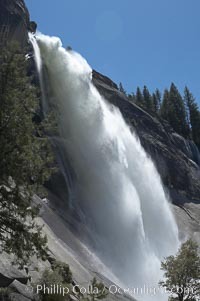 Nevada Falls marks where the Merced River plummets almost 600 through a joint in the Little Yosemite Valley, shooting out from a sheer granite cliff and then down to a boulder pile far below. Stock Photography of Yosemite High Country. Nevada Falls marks where the Merced River plummets almost 600 through a joint in the Little Yosemite Valley, shooting out from a sheer granite cliff and then down to a boulder pile far below. Photograph of Yosemite High Country. 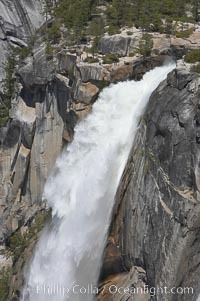 Nevada Falls marks where the Merced River plummets almost 600 through a joint in the Little Yosemite Valley, shooting out from a sheer granite cliff and then down to a boulder pile far below. 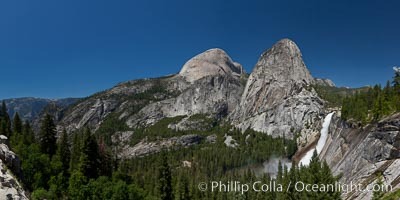 Yosemite High Country Photos. 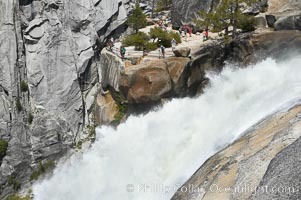 The brink of Nevada Falls, with hikers visible at the precipice. Nevada Falls marks where the Merced River plummets almost 600 through a joint in the Little Yosemite Valley, shooting out from a sheer granite cliff and then down to a boulder pile far below. Yosemite High Country Image. 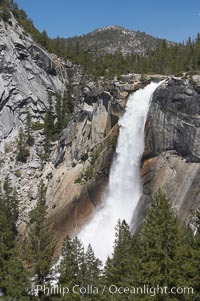 The brink of Nevada Falls, with hikers visible at the precipice. Nevada Falls marks where the Merced River plummets almost 600 through a joint in the Little Yosemite Valley, shooting out from a sheer granite cliff and then down to a boulder pile far below. Professional stock photos of Yosemite High Country. Nevada Falls marks where the Merced River plummets almost 600 through a joint in the Little Yosemite Valley, shooting out from a sheer granite cliff and then down to a boulder pile far below. Pictures of Yosemite High Country. 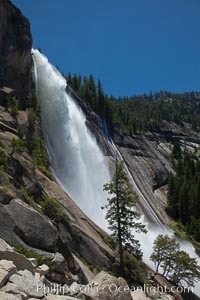 Nevada Falls, with Liberty Cap rising above it. Nevada Falls marks where the Merced River plummets almost 600 through a joint in the Little Yosemite Valley, shooting out from a sheer granite cliff and then down to a boulder pile far below. Yosemite High Country Picture. 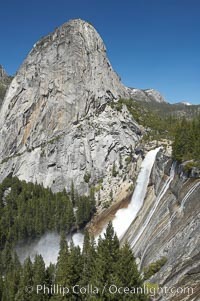 Nevada Falls, with Liberty Cap rising above it. Nevada Falls marks where the Merced River plummets almost 600 through a joint in the Little Yosemite Valley, shooting out from a sheer granite cliff and then down to a boulder pile far below. 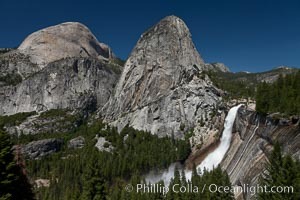 Yosemite High Country Photos. 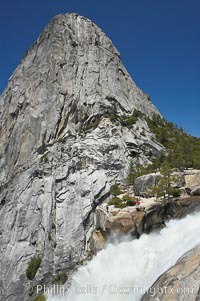 Nevada Falls, with Liberty Cap rising above it. Nevada Falls marks where the Merced River plummets almost 600 through a joint in the Little Yosemite Valley, shooting out from a sheer granite cliff and then down to a boulder pile far below. Yosemite High Country Image. 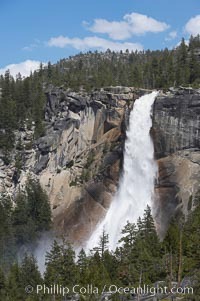 Nevada Falls marks where the Merced River plummets almost 600 through a joint in the Little Yosemite Valley, shooting out from a sheer granite cliff and then down to a boulder pile far below. Professional stock photos of Yosemite High Country. 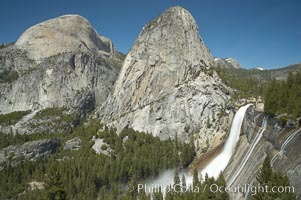 Nevada Falls, with Liberty Cap (center) and Half Dome (left). 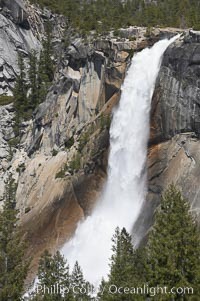 Nevada Falls marks where the Merced River plummets almost 600 through a joint in the Little Yosemite Valley, shooting out from a sheer granite cliff and then down to a boulder pile far below. Pictures of Yosemite High Country.